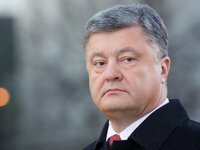 Bookmaker ElectraWorks Limited (Gibraltar), operating under the bwin brand and owned by GVC Holdings PLC listed on the London Stock Exchange, has increased the odds of incumbent President Petro Poroshenko in the upcoming presidential elections to 1.95 to 1 (from 2.1 to 1 a week ago). According to the bwin website, odds for Batkivschyna Party leader dropped from 2.9 to 1 (from 2.6 to 1). According to the bookmaker, showman Volodymyr Zelensky is the incumbent president's biggest threat. The odds of Zelensky winning increased slightly from 4 to 1 (from 4.5 to 1 a week ago). The Ukrainian bookmaker Favorit Sport (according to license issued by the Finance Ministry to the enterprise Ukrayinska Natsionalna Lotereya, 100% owned by foreign investments), meanwhile, said the odds of Tymoshenko and Zelensky winning were even at 4.5 to one. The bookmaker said Poroshenko's odds of winning were 1.45 to 1.